Contact Gate Repair Santa Clarita today! There is no need to endure the insecurity derived from damaged gates. We are experts in all styles, types and brands. We are the best in gate repair. One call and you'll get all the information you require. We consult, repair and can be your guardian angel. Make an appointment today with our experienced technicians and see problems walking away. When you rely on Gate Repair Santa Clarita, you can trust that gate repair will be done on time with the best tools by the most skilled technicians. We are here for your needs and urgent repairs 24/7. We are a team of professionals who are enthusiastic in delivering top quality services for different gate repairs and maintenance services. Being skilled technicians, we are properly trained to use modern tools. 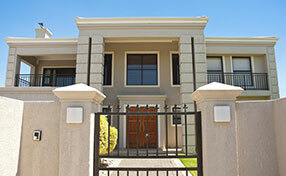 We specialize in repairing and installing all types of gates for both the commercial and residential communities. We do the job at its best, and our job is not complete until you are satisfied with the results. With our excellent craftsmanship, you will definitely get the most out of your gate. 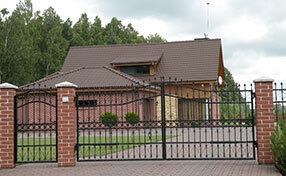 We are the most sought after gate service provider in the metro. This is attributable to our quick response and efficient execution. Our phone lines are always available and we deploy technicians immediately. Our team provides a wide variety of gate management services, yet there is an organized system allowing us to deliver quality work for each type of service. Our technicians are regularly trained to get updates on latest service procedures. We also constantly upgrade our equipment so our technicians can execute the task more efficiently. Our jobs are marked by precision and attention to detail. 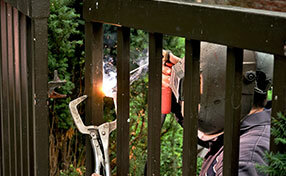 Keeping a gate in top condition is not a challenge with our services.